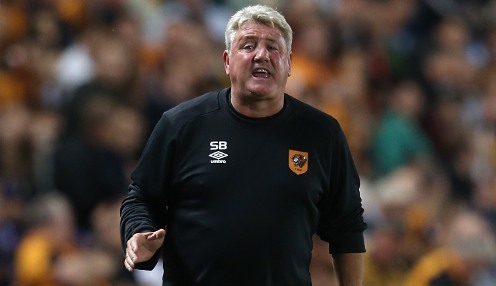 Steve Bruce hopes Hull make an immediate return to the Premier League in 2015/16. The Tigers, FA Cup finalists in 2013/14, were relegated from the top-flight on the final weekend of last season when they could only draw with Manchester United while Newcastle United beat West Ham. Steve Bruce's side are 1/1 to be promoted from the Championship in the 2015/16 season, while Middlesbrough are 1/1 to go up and Derby County 1/1. Meanwhile, MK Dons will begin their first campaign in the Championship following their promotion from League One last season at Rotherham United. Preston host Championship play-off final runners-up Middlesbrough and Bristol City travel to Sheffield Wednesday. Queens Park Rangers have a London derby at Charlton Athletic to look forward to on 8th August, while Burnley, who were also relegated from the Premier League last term, face the short trip to Leeds United on the opening weekend. Brentford and Ipswich Town, who both reached last season's play-offs, face each other at Griffin Park while Paul Clement's first game in charge of Derby County, is at Bolton Wanderers. Birmingham City start their campaign with a home game against Reading, who reached the semi-finals of the FA Cup last term, while Blackburn entertain Wolves at Ewood Park.